Guardian of the Gauntlet by Lenita Sheridan is a fantasy book written for middle grade students. It is based on a parable from the Bible. In this book, two sister princesses, Camari and Mila, are in love with Prince Denir. Prince Denir is in possession of a special gauntlet which only works if one has faith in a higher power. Conflict occurs when Denir makes Camari invisible and then is called off to war. Camari is left is the predicament of being invisible. The book ensues with Camari trying to become visible again and also trying to outwit two wicked characters who connive to steal the gauntlet. She also meets Prince Isryk and must travel through the Wetlands of Fremil with him and encounter all sorts of nasty insects and other dangerous creatures. The author Lenita Sheridan has recommended her book for this website because it is a children’s book and family friendly. You can get a copy of Guardian of the Gauntlet by Lenita Sheridan on Amazon US or Amazon UK. If you would like to connect with the author Lenita Sheridan, here’s her Twitter profile. So what do you think of this book? Please leave a comment below. Please click one of the buttons below to share the book. 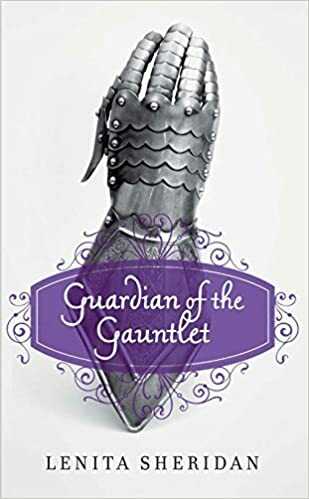 This entry was posted in Uncategorized and tagged fantasy book, Guardian of the Gauntlet, Guardian of the Gauntlet by Lenita Sheridan, Lenita Sheridan. Bookmark the permalink.